So, let’s finish out this pack basket and try it on for size. 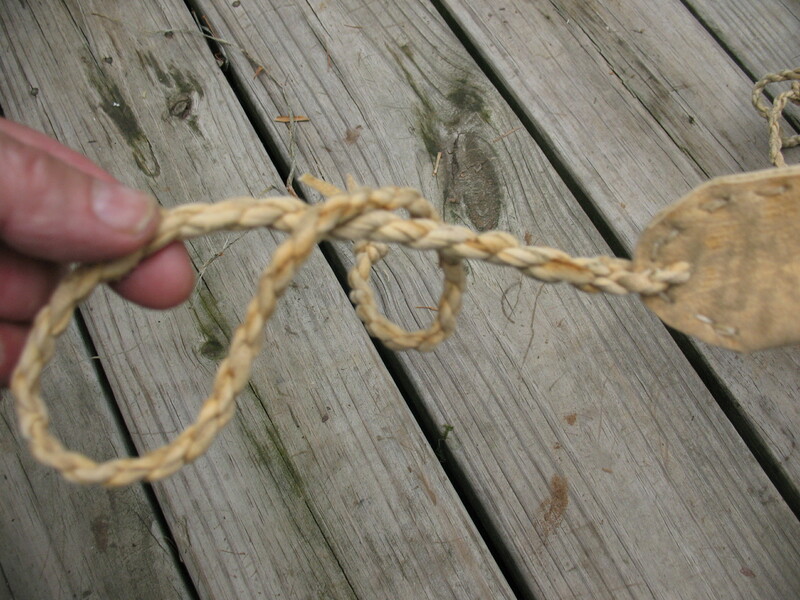 First I take the finished pack straps and punch a hole in each end. 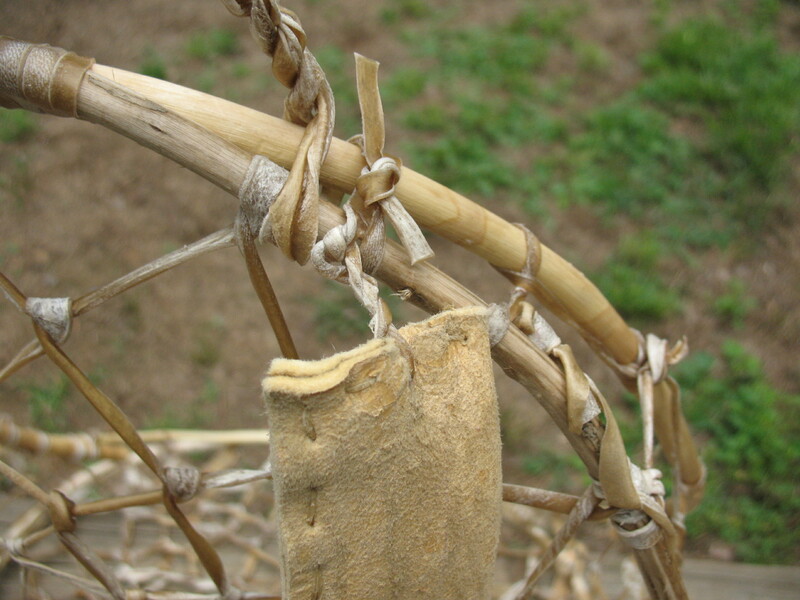 A thong of wet rawhide is used to tie the top of the straps to the pack frame. 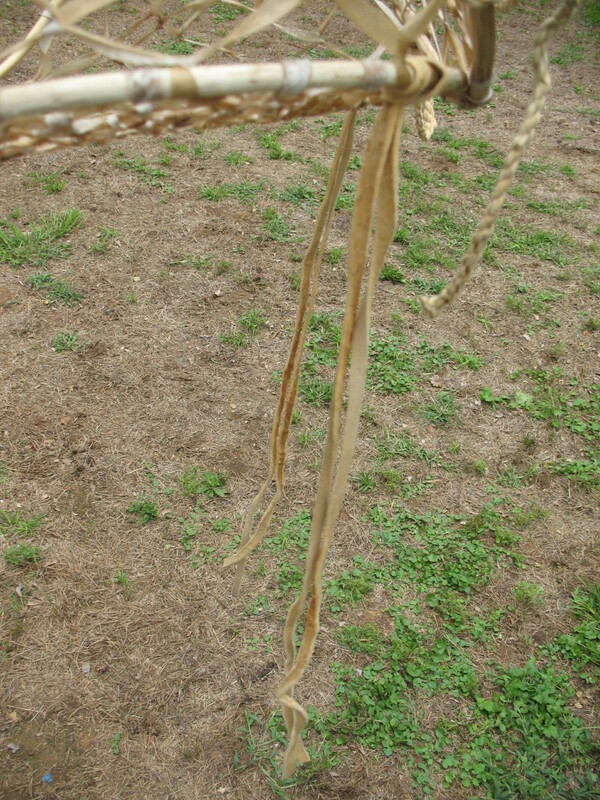 On the bottom of the straps I twist up some brain tanned elk hide and insert it through the hole. 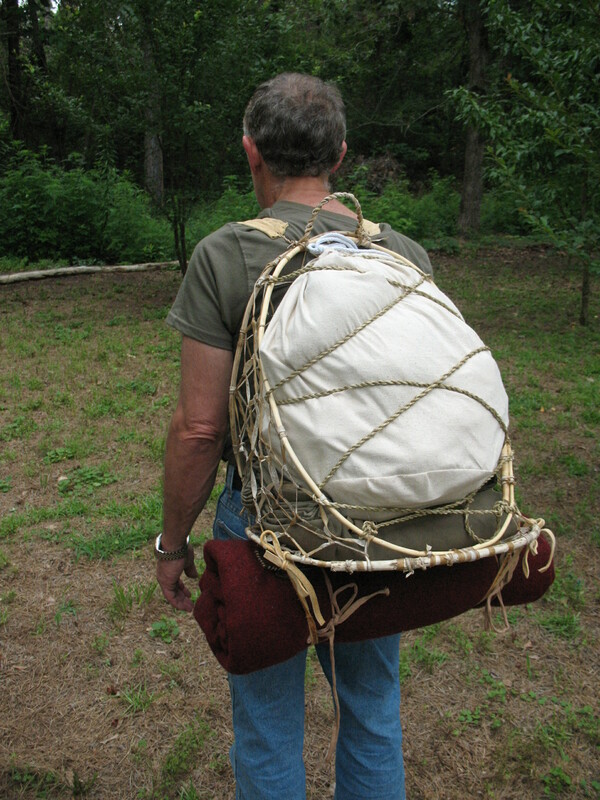 This can then be tied to the bottom of the pack frame to make the straps fit as tight as I need them. 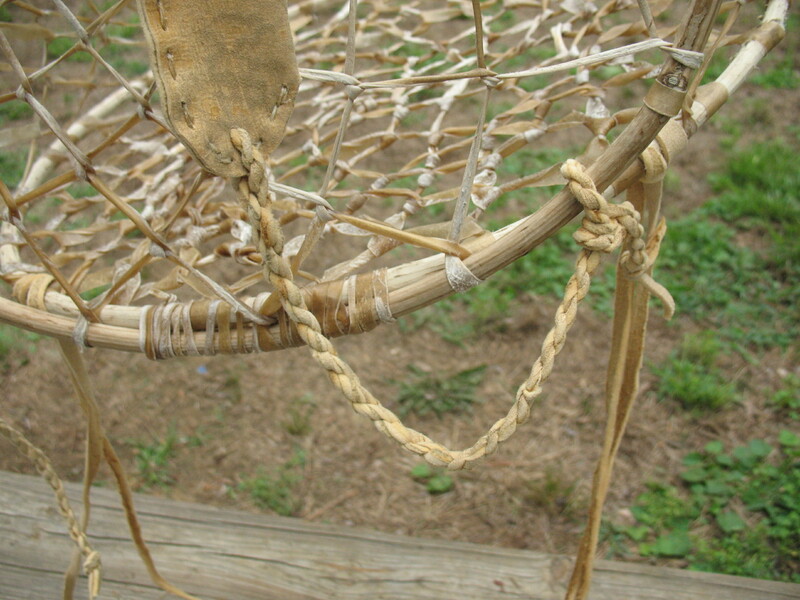 I add a couple of brain tanned thongs on the bottom of the basket so that I can tie my bedroll to the bottom. 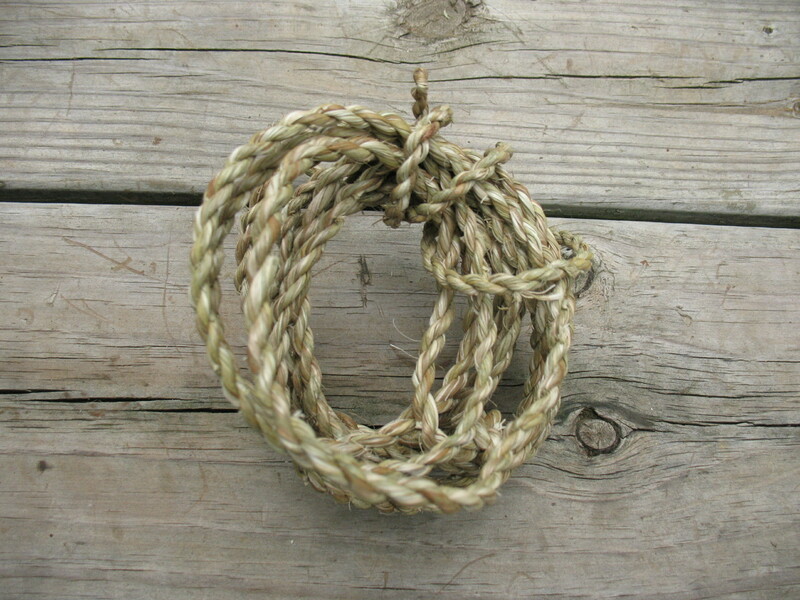 The last thing is to twist up about ten feet of yucca cordage that I can use to lash my gear into the pack. And here’s the finished product. 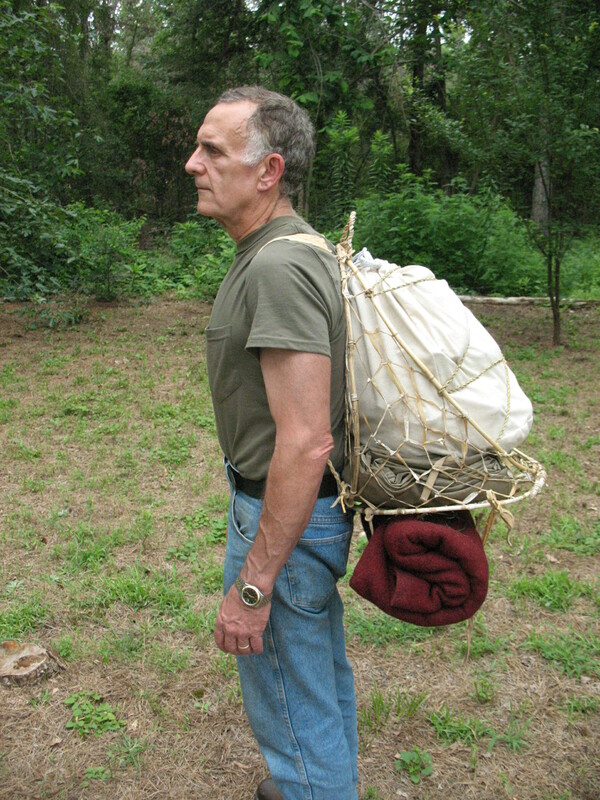 My tarp and a canvas bag with all my gear are lashed into the basket, my bedroll is tied on to the bottom of the pack, and the straps are adjusted for a comfortable fit. Ready to head for the woods.